Bechar is an Israeli film maker and journalist. Her debut feature documentary, ‘Just Married’, won awards worldwide. A 2008 Fellow at the Neiman Foundation for Journalism at Harvard University, Ayelet is a graduate of the Tel Aviv University department of Film and Television, and of Columbia University’s Graduate School of Journalism. She lives in Tel Aviv with her family. Ibstisam wrote and directed, “Waking Up to a Fatherland,” broadcast on Israel’s Channel 2. In 2003, she wrote and directed the documentary, Paradise Lost, which was supported by the New Cinema Fund, the Tel Aviv Fund, the Makor fund, and the MEDEA project of the European Union.  The film won The Best Script award for co-productions at the Spring Doc Festival, The First-Creation Photography Award at the 2003 International Spring Doc Festival, and the Documentary Award at the 2003 Women’s Festival in Rehovot. She then went on to direct the documentaries, The Bridge, Badal – which won the “Spirit of Freedom” award, and The Best Documentary Award in HOTDOCS – A Room in Tel-Aviv, and Three Times Divorced – which won to the First Prize at the “Doc-Aviv” Film Festival Competition. In 1997, Ofaz finished his first documentary film, “Aboud Bypass”, which won the “Aliza Shagrir” prize. In 2001, his first full-length documentary, Going Dutch, won first prize at the documentary film contest of the Haifa International Film Festival. He has taught and worked extensively in Holland, and lead filmmaking classes in Israel for teachers and high-school students in documentary filmmaking. From 2003-2004, he lead filmmaking workshops for criminal youth at Kedma Youth Village, which produced award-winning films and allowed the students to achieve high school diplomas. He also lists The Wandering Samaritan (2004-2005), and Where Home Is (2005-2006), among his film credits. From 1973 to 2007, Ada Ushpiz worked as a journalist for Ha’aretz. She then went on to direct, produce and edit a series of full-length documentary films including Layla Shalauit, A White Bridge, Four Stories, Not Like a Lamb to the Slaughterer, Asurot, Blood Engagement, and most recently Desert Brides. She holds a BA in philosophy, a BA in general history, and a certificate in Film Direction. Vetter has directed numerous films in his career, including My Father The Turk, Traders Dreams, The Battle for Brukman, Wargames, The Tunnel, and Wenn der Bus Kommt. For My Father The Turk, he won the Prix Europe, the San Francisco Int. Film Festival Golden Gate Award, the Best Documentary Award at the International Filmfestival Nurnberg, and the Audience Award at the Vera Filmfestival Finland, among others, and numerous international awards for his other films. He comes to Other Israel as the director of The Heart of Jenin.